Not a review as such, more than a public service announcement! Aesop’s Parsley Seed Anti-Oxidant skin care is a great all rounder regime for normal/dry skin that’s designed to hydrate, re-balance and protect against environmental and oxidation damage. Parsley Seed Facial Cleanser: a gel based cleanser with gentle chemical exfoliation; you can read my review here. From £25. Parsley Seed Facial Cleansing Oil: a cleanser that can be massaged into the skin and then actives in water, melting away taking all the debris with it. £39. Parsley Seed Cleansing Masque: Seriously cool clay-based cleanser that gives a really deep clean. £27. Parsley Seed Anti-Oxidant Facial Toner: very soothing and calming post-cleanse and I reviewed it more in depth last week here. From £27. Parsley Seed Anti-Oxidant Serum: deliciously hydrating with a base of aloe vera that helps to hydrate, soften and restore healthy skin function; read my review here. £45. Parsley Seed Anti-Oxidant Eye Serum: a softening and hydrating serum to plump and restore the skin around the eye area, sitting gorgeous under the Parsley Seed eye cream. £55. Parsley Seed Anti-Oxidant Eye Cream: this is really nice, one of my favourites actually, particularly in winter when my eyes can get as tight as anything. Read my full review here. From £59. Parsley Seed Anti-Oxidant Hydrator: a lightweight moisturiser (still I wouldn’t say for particularly oily skin types) that sinks into normal/dry skin and gives all day comfort whilst protecting against oxidant damage with white tea panthenol, white tea and willowherb. It’s gorgeous! £43. Parsley Seed Anti-Oxidant Facial Treatment: a rehydration treatment with nine anti-oxidant ingredients and fatty acids to inject moisture back into the skin and repair and restore healthy barrier function. It gets the skin behaving as it should! £39. 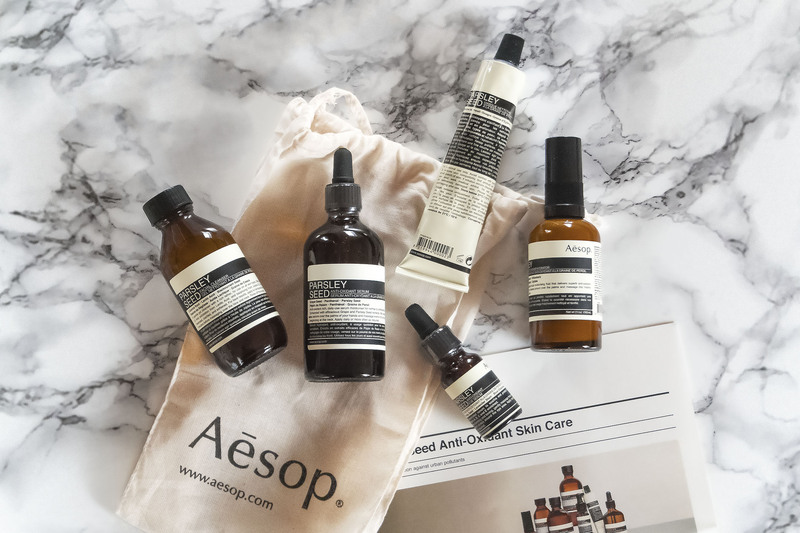 Aesop Parsley Seed Anti-Oxidant Skin Care is available here directly from Aesop on their online store.Check it out and get your skin ready for Spring! This article first appeared on MANFACE written by Thom Watson. It was published on Thursday 25th February 2016 and was last updated on Monday 3rd April 2017 at 1:07pm. It's categorised under Aesop, Cleanse, Combination Skin, Dry / Dehydrated Skin, Exfoliate, Eye Care, Mask, Moisturise, Serums & Treatments, Tone where you'll find more related content.